The song Olly Murs - I'm OK is professional recreation. It is not by the original artist. Army of Two Olly Murs Your browser does not support the audio tag. Busy Olly Murs Your browser does not support the audio tag. C'mon C'mon Olly Murs Your browser does not support the audio tag. Cry Your Heart Out Olly Murs Your browser does not support the audio tag. Dance With Me Tonight Olly Murs Your browser does not support the audio tag. Head to Toe Olly Murs Your browser does not support the audio tag. Heart On My Sleeve Olly Murs Your browser does not support the audio tag. Hey You Beautiful Olly Murs Your browser does not support the audio tag. Hold On Olly Murs Your browser does not support the audio tag. I Need You Now Olly Murs Your browser does not support the audio tag. I'm OK Olly Murs Your browser does not support the audio tag. In Case You Didn't Know Olly Murs Your browser does not support the audio tag. Oh My Goodness Olly Murs Your browser does not support the audio tag. On My Cloud Olly Murs Your browser does not support the audio tag. Please Don't Let Me Go Olly Murs Your browser does not support the audio tag. Right Place Right Time Olly Murs Your browser does not support the audio tag. Thinking of Me Olly Murs Your browser does not support the audio tag. 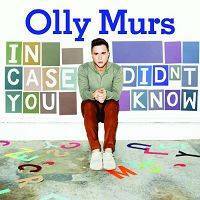 This Song Is About You Olly Murs Your browser does not support the audio tag. What a Buzz Olly Murs Your browser does not support the audio tag.